Yoga Whenever & Wherever: Fulfill your 2016 New Year'sResolution: physical, mental, and spiritual improvement.YOGA™ -Yoga Monkey: Free Fitness Guru - The best free Yoga appRelieve,lose weight, keep fitness by yoga pose and breath: Yogis can eithertake it as implement workout to your yoga class or morning routine,or follow it as your own yoga teacher for self-learning step bystep.====== WE ARE UNIQUE ======1. All yoga poses are designed bycertified yoga professional with 20 years Hatha yoga teachingexperience.2. 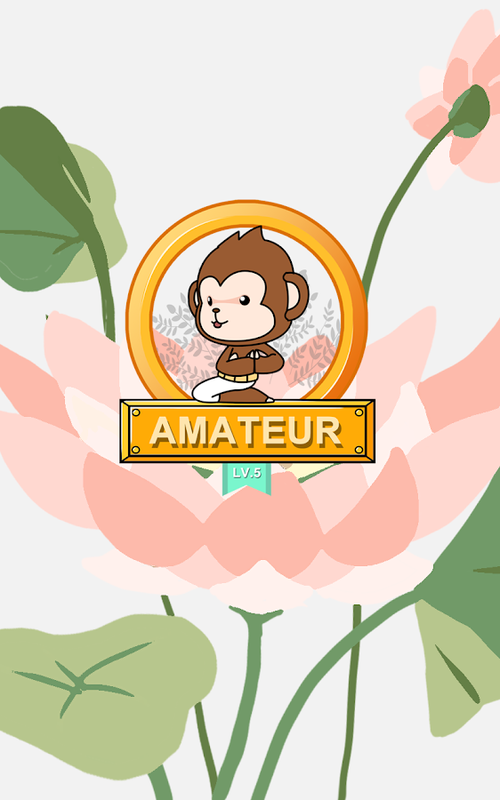 Cute 3D Little Yoga Monkey practice yoga poses andbreath together with you3. Flexible exercise models for you tochoose:=== PROGRESS Practice ===Full free access to wholetailor-made learning path (Level 1-10) from yoga beginner to yogaexpert. When you finish current level courses, upper level can beunlocked to upgrade your practice. Reminders regularly sent to keepyou on track with practice on timeline.=== SINGLE Practice ===10functional yoga sessions are ready in place for your special needs.Yoga Monkey helps you instantly within 15-20min to:- Lose Weight-Better Sleep- Fight Depression- Help Digestion- Fight Winter Blue-Glowing Skin- Relieve Hangover- Relieve Labor Pain- RelieveBackache- Yoga in OfficeBesides Yoga Monkey, we also develop YogaGuru (https://play.google.com/store/apps/details?id=fit.guru.yoga),in which vivid real model video tutorials help you practice yogaand breathing under professional instruction.More courses andcommunity section are coming soon. For more information, pleasevisit our official website: http://yogamonkey.fit. You can alsofollow us onTwitter:YogaMonkeyFithttps://twitter.com/Yoga_Monkey_FitFacebook:YogaMonkey.Fithttps://www.facebook.com/YogaMonkey.FitYoutubeChannel:YogaMonkey.Fithttps://www.youtube.com/channel/UCtKLr_O-6mjmq3DcEO30UigInstallYoga Monkey APP today to learn yoga and meditation through freeonline courses. Keep fitness and stay healthy. Namaste! YOGA - Namaste!Yoga Guru - Fulfill your 2016 New Year's Resolution:physical, mental, and spiritual improvement.Relieve body, quickrelax, lose weight, keep fitness by yoga and breath workouts. "YOGA- Yoga Guru" can be implemented as a self-workout guidance as wellas extra supplement to your yoga studio exercises.Here Yoga Gurunot only offer courses for your particular needs such as weightloss, better sleep, etc. but also design yoga workout level-upcourse path from very beginner to advanced level.===== YOGA GURUARE UNIQUE =====1. Yoga courses are designed by certified yogainstructor and expert with 20+ years Hatha yoga teachingexperience.2. Vivid real model video tutorials help you practiceyoga and breathing under professional instruction.3. Diversifiedworkout modes for your choice:=== TIMELINE Practice ===Freelevel-up courses for beginners and provide a well-designed yogaworkout path to advanced yoga expert. The courses are step-by-step,the following course for upper level will be unlocked only if theprevious course be finished. 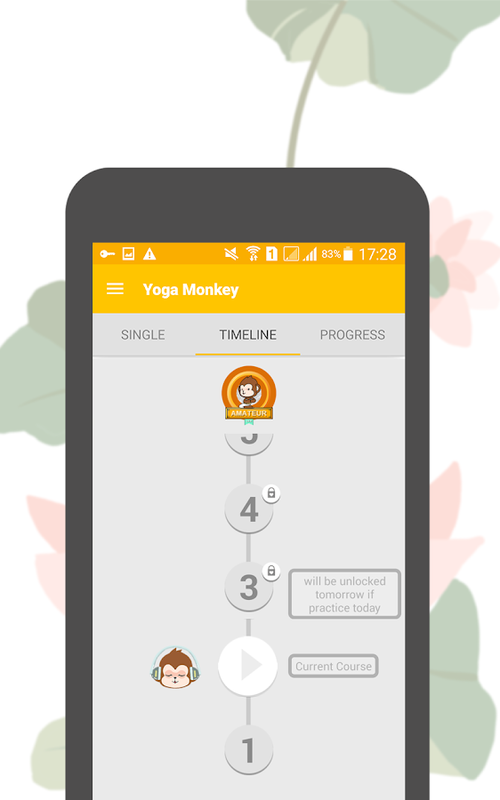 Reminders for yoga routine workoutsare available for setting at side bar.The PROGRESS section isdesigned for your workout track and there will be pins on the dateyou take practice.=== SINGLE Practice ===100+ paid/free yogamulti-function sessions are ready for you. They take place for yourparticular needs. You would probably feel better after exerciseunder either one of the tailor-made courses within 15-20 mins to:-Lose Weight- Better Sleep- Fight Depression- Improve Digestion-Fight Winter Blue- Glowing Skin- Relieve Hangover- Relieve LaborPain- Relieve Backache- Office YogaMore courses and functions arecoming afterwards. For more information, please visit our officialwebsite: http://yogamonkey.fit. You can also follow us onTwitter:YogaMonkeyFithttps://twitter.com/Yoga_Monkey_FitFacebook:YogaMonkey.Fithttps://www.facebook.com/YogaMonkey.FitNamaste! • 100+ Poses easy to follow for one pose to next. • Created workoutcollections to achieve specific yoga and fitness goals. • 20+unique yoga classes designed by certified yoga experts for alllevels. • Increase flexibility to boost your performance. • Leavethe stress and focus on positive energy. • Balance the body whilefocusing the mind. • Collection of sounds and melodies to createunlimited ambiances and atmosphere, stress & anxiety relief.MAIN CLASSES: BALANCE - different yoga styles are combined that arefocused to improve your balance. STRENGTH - a combination of poweryoga poses that will help you to build your body strength.FLEXIBILITY - learn to focus how to breath, on your muscle recoveryand flexibility of your body. GET IN SHAPE: Quick Yoga Fix - fityoga into a busy day with a sequence that is both grounding andenergizing. Getting Toned - develop muscle tone in key areas,including arms, shoulders, core, glutes, and legs. Morning Yoga -start your day with an invigorating yoga practice that emphasizesmoving the spine in all directions. Daily Yoga for ABS - target andtone deep abdominal muscles. Yoga for Runners - yoga offers aunique combination of balance flexibility, strength, andmindfulness training that can help runners to improve performance.Boost Your Energy - recharge with this sequence designed toinvigorate your body, mind, and spirit. Challenge Your Flexibility- develop flexibility through a series of intense stretches andapply the results to more advanced yoga posture. NUTRITION - be inthe best shape ever! learn what to eat, discover fat burning foodsand recipes. Eat tasty meals to speed up your metabolism. 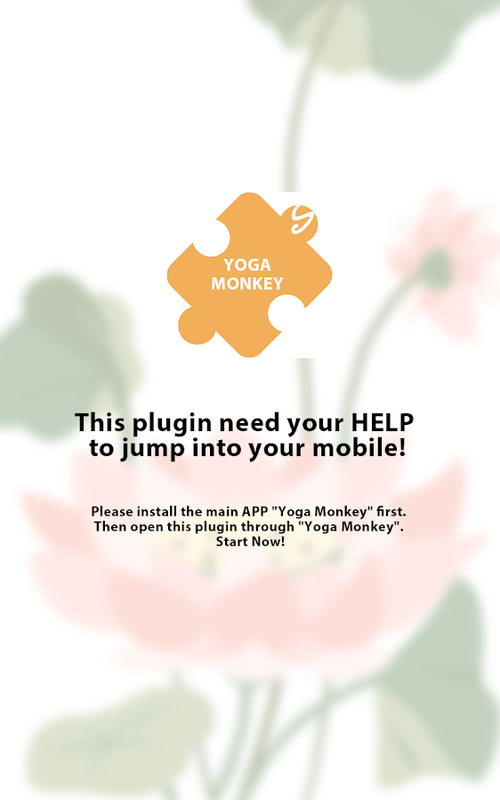 HOW TOUSE THE APP & SUBSCRIPTIONS The download and use of Yoga app isfree. Get all available workouts within the app as part of themonthly subscription. The subscription costs $12,99 for 1 month or$35,99 for 12 months. If you opt for the subscription, you pay thefixed price for your country which is displayed in the app. Thesubscription will be renewed automatically if it is not canceledwithin at least 24 hours before the end of the current subscriptionperiod. Your Play Market account account will be charged for eachnew term within 24 hours prior to the expiration of the currentsubscription. The current term of In-App subscriptions cannot becanceled. You can disable the automatic renewal via the Play Marketaccount settings at anytime. MORE: • Discover new Apps from VGFITand achieve fitness goals. • Find out more Yoga Classes and Guidesfor your healthy lifestyle. • Play classes on your TV with AirPlayor Chromecast mirroring. • Get Motivation and share it with friendsJoin vgfit.com community. Using this app will help you to relieve stress, get flexible andcalm your mind. The daily yoga routine contains 10 poses orexercises. Do it daily to create a toned, flexible and strong body.Yoga helps you to look and feel younger than your age. Improve yourathletic performance. Doing yoga daily is good for your body.Doingthe yoga workout will make you feel stronger, healthier, improveenergy and control weight. Working out benefits every part of thebody. Total body fitness workout. Full complete yoga body trainingwith log. ***FEATURES***- Free and Simple- 10 Yoga Poses - WorkoutLog- Set Reminder- Total FitnessThe yoga workout routine containsboat pose, bridge pose, chair pose, child's pose, cobra pose, cowpose, downward facing dog, standing forward bend, plank and upwardextended feet. Yoga for weight loss - is a lose weight program at homecontaining the best yoga exercises plan. Weight loss yoga – is acomplete reduce weight program based on the most effective andtime-tested Hatha and Kundalini yoga exercises, poses, and asanas.⭐ It is well known that yoga is a perfect assistant for fast weightreducing and for boosting of all metabolic processes - the asanasused in each workout speeds up the metabolic processes, starts thefat burn and gives a very good load for all muscle groups of thebody. Lose weight program and workout does not require anyadditional equipment – just 10-20 free minutes and your smartphone.Everyone can do app training – they are appropriate for both menand women. We've combined all exercises into 3 programs with morethan 50 different weight loss workouts which have increasingcomplexity. App features: ✔️ The app contains 80 the most effectiveand time-tested static and dynamic exercises that are working onall muscle groups of the body; ✔️ All exercises have detailedaudio, video and text instructions – the answer on the question howto reduce weight - is to do the right exercises; ✔️ The virtualcoach will show and tell how to perform each of exercise forgetting the most effective results in lose weight plan and motivateyou to work harder; ✔️ 3 training programs, divided by levels ofdifficulty, and continuing each other with more than 50 fat burnerdifferent workouts; ✔️ You can also make and create your ownworkouts, set their duration, time of rest, choose exercises; ✔️Notifications system – now you will never forget to do lose weightexercises and plan; ✔️ System of achievements and rewards. If youare looking for yoga exercises for beginners - this is right foryou; ✔️ Breathing tips and advice - the instructor will tell youhow to breathe (only in the premium app version). 🏅 In this app,we’ve selected and combined the most effective lose weightexercises, also yoga asanas and special reduce weight workoutprograms will speed up metabolism processes in your body, make yourmuscles work and, moreover, you’ll do a great body stretch. 👍 Yogaexercises will help to lose excess weight in the most harmoniousand healthy way without side effects in the cardiovascular systemand the whole body, and, as practice shows, 1 week of regularexercises is enough to start losing weight processes and to getfirst results. If you really want to reduce body weight fast in 30days – this app is right for you. Just try to do the first workoutof yoga for fat burn and you will definitely see the results.😃 Good luck! Daily Mudras (Yoga) app assist you to perform Yoga Mudras - handgesture exercise to improve your physical, mental & spiritualhealthy life. 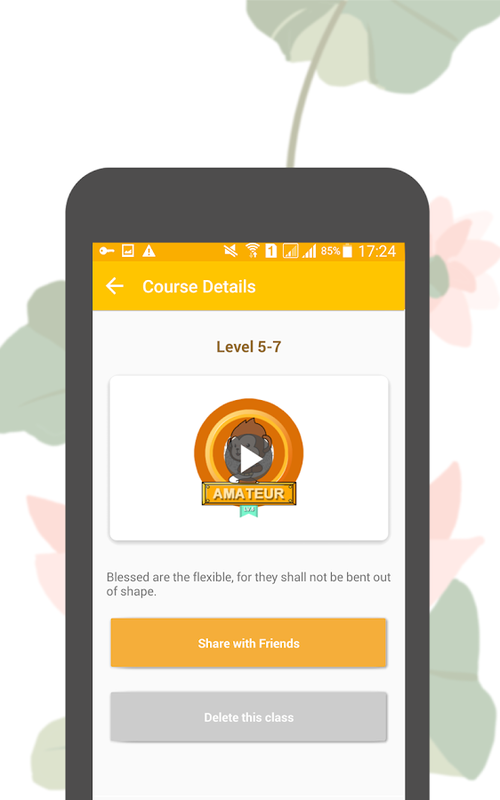 App features: • In this Daily Mudras (Yoga)application, you can access 50 important Yoga Mudras, theirbenefits, specialties, steps to do descriptions, beneficial bodyparts etc., • We have provided step by step hand gesture procedurewith photos for easy practice. • In this application, contents areprovided in English, Hindi and Tamil languages, by default appcontent is in English, you can change it to your preferred languagefrom Language Settings. • This application will suggest you list ofMudras according to your age, gender and profession. • Mudras aresegregated by body parts and by benefits to get completerejuvenation from diseases. For eg; Mudras for eyes, heart,kidneys, obesity, hair loss, relaxation, stress, constipation,asthma, thyroid, self confidence, menstruation, sperm & muchmore. • In this application you can find treatment for 100+diseases. • No matter if you are searching Mudras for healing orMudras for health or Mudras for peace of mind, this application hasthe answer. • Quick practice workout session. • In work outsession, various meditation musics are provided to keep the mindand soul in meditation state. • Alarm & bookmarking facilitiesare also provided. • Text font size can be adjusted for betterreadability. • Search option is available for easy access, you cansearch here for Mudra's name, bodyparts, benefits and also otherdiscomforts like appetite, acne and much more. • In this app youcan access Mudras in English, Mudras in Hindi & Mudras inTamil. • This app is fully FREE! • Most importantly it worksoffline as well. • This app is ads supported. You can remove adswith affordable price (optional). • Mudras for health. All with thepurpose to help you feel fantastic and to feel perfect. AboutMudras: Mudra is a Sanskrit word which means posture or pose. Inthe word Mudra 'mud' means joy and 'ra' means produce. It producesjoy and cheerfulness. Mudras originated from Hinduism and Buddhism.200 Mudras are used in Bharatanatyam and 250 Mudras are inMohiniattam, 108 Mudras used in Tantric rituals. In other termMudras are silent language of self expression and consisting ofhand gestures and finger postures. Mudras involves the entire bodyand looks as a closed electrical circuits which can pass energythroughout body. The physical body is made up of five elements. TheThumb, Index, Middle, Ring and Little finger represents Fire, Air,Sky, Earth and Water respectively. Imbalance of these five elementsinterrupts the immunity system and causes diseases. When a fingerrepresenting an element is brought into contact with the thumbelement the disturbance is brought into balance, therefore thedisease caused by the imbalance is cured. Usually from 5 to 45minutes is required to practice everyday by using appropriate Mudrawith proper pressure and touch including sitting position andbreathing. However the effectiveness of the Mudras not only dependon the practices but it also depends up on the eating habit, dietand the lifestyle of a person. Speciality of Mudras: • Mudras areused extensively in Yoga, meditation and dance. • Mudras can be aneffective alternative to many medicines. • It does not need anymoney or special ability to be performed but it just needs somepatience. • There is no age limit to perform Mudras, people of agegroup 5 to 90 can perform it. • If you want to stay healthy byphysically, mentally and spiritually it is recommended to practicethe Mudras daily. For any comments, feedback, additionalinformation or any support, kindly contact us [email protected] If you like this application, kindly share withyour family & friends. And also kindly rate this app with5-star rating to serve you better with more updates. Wish you all ahappy and healthy life!